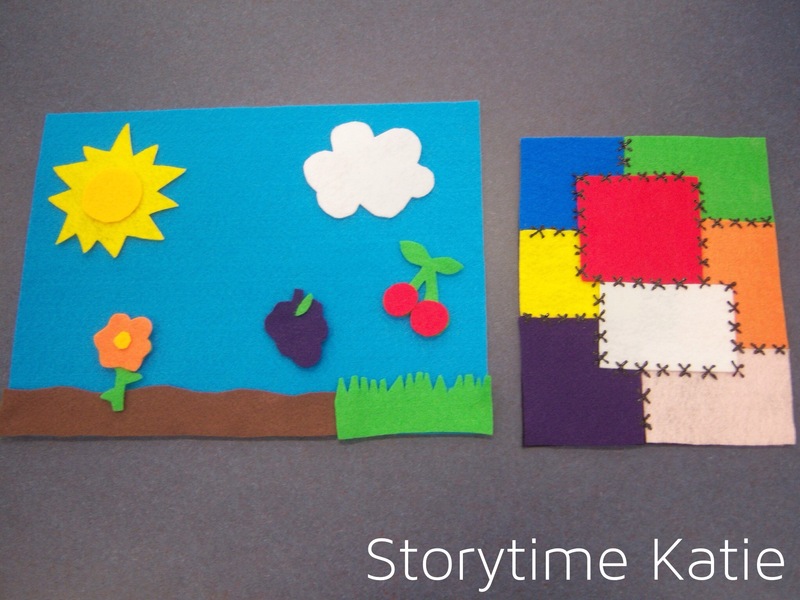 A flannelboard inspired by Destination Storytime: The Great Hot Air Balloon Race! I used this hot balloon clip art as my template and made up the designs on the balloons. You can do anything with your balloons — I had the chance to see Balloon Fiesta in New Mexico in 2012 and there really is a balloon for everything! Both flannels today are inspired by previous Flannel Fridays! First up, Melissa from Mel’s Desk’s: “Five Bears”. Polar bears are soft and white and live where it’s cold. Black bears are big and tall, big and tall, big and tall. 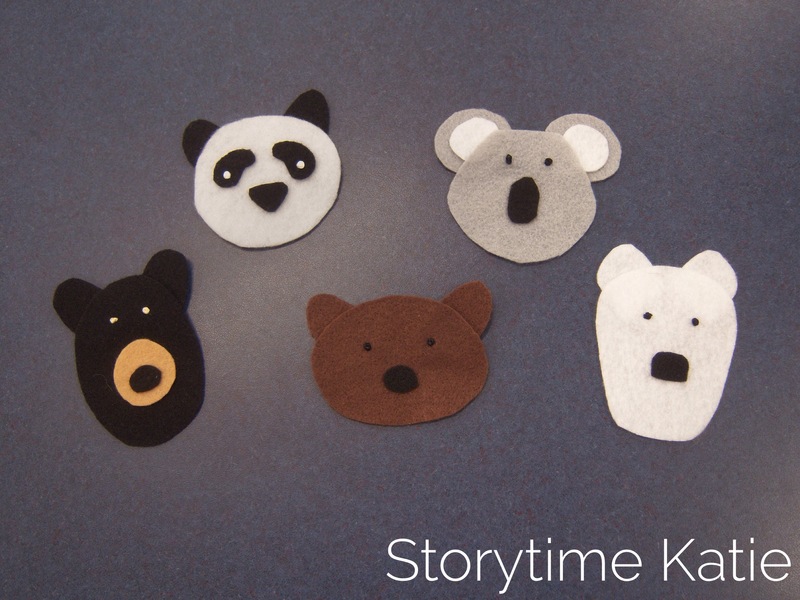 Black bears are big and tall, and live in the woods. Kari based her flannelboard on a book. I used her rhyme and told the kids that we were looking for the three smallest balls for Jack to juggle. I kept switching balls out until all the right little balls were on the board. The kids were enamored with this one! There is no round-up today due to the holiday, but I made a resolution to post EVERY Friday this year and I’m keeping it! You can also check out our website, Pinterest, or Facebook! 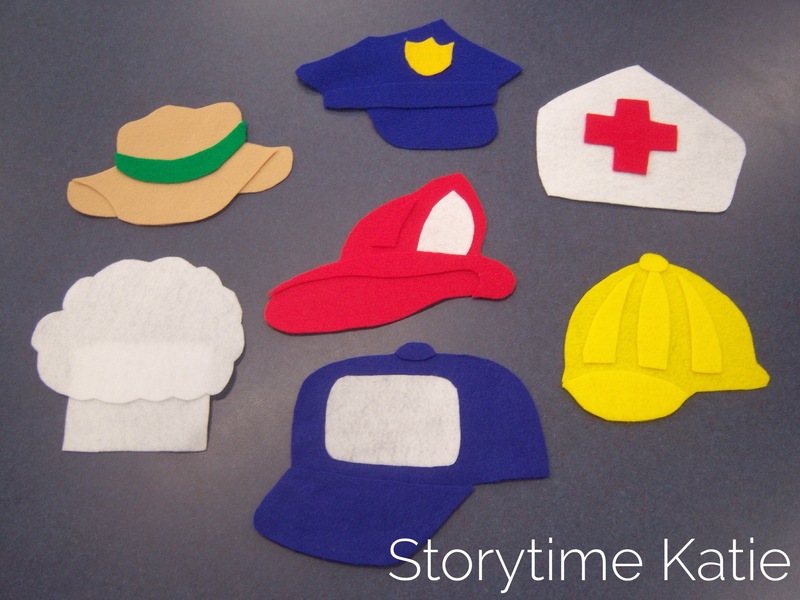 Two Community Helpers activities for you today!! I used them both in Staying Safe! outreach storytime. I bought the clip from Etsy shop PaperiePixel. Are you under the (farmer’s) hat? I got the template from Making Learning Fun. I used the cat from my Farm Pack set. Mary is hosting the round-up today! You can also check out our website, Pinterest, or Facebook! I made this using a clip art template for my ant. I blew it up in Publisher to get the right size. I used pipe cleaners (attached with hot glue) to make the antennae. 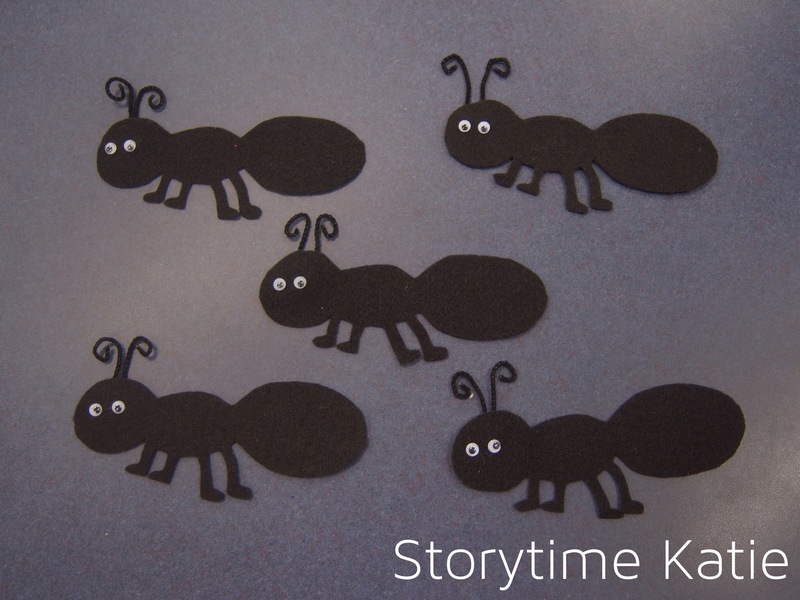 This was made for bugs storytime after it was such a success as a fingerplay in picnic storytime. A winter-y wonderland for today’s Flannel Friday! 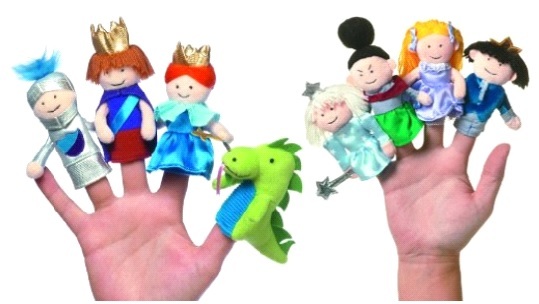 I used this in Snowmen themed storytime. I didn’t make the sled in time for the storytime and still haven’t made one! 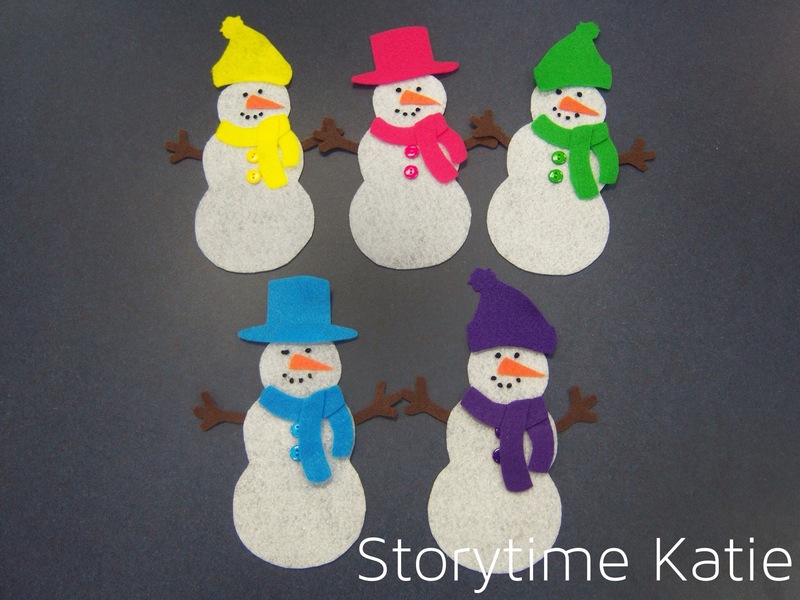 I also used these snowmen last winter in Hats, Mittens, & Scarves storytime. Originally, the snowmen had black hats. I peeled those off and updated with the brightly colors hats and scarves. I sewed the buttons on to match and asked the kids to help me match up the scarves and mittens in a discussion game. They had a great time! Anyways, I used it in Number Nine! 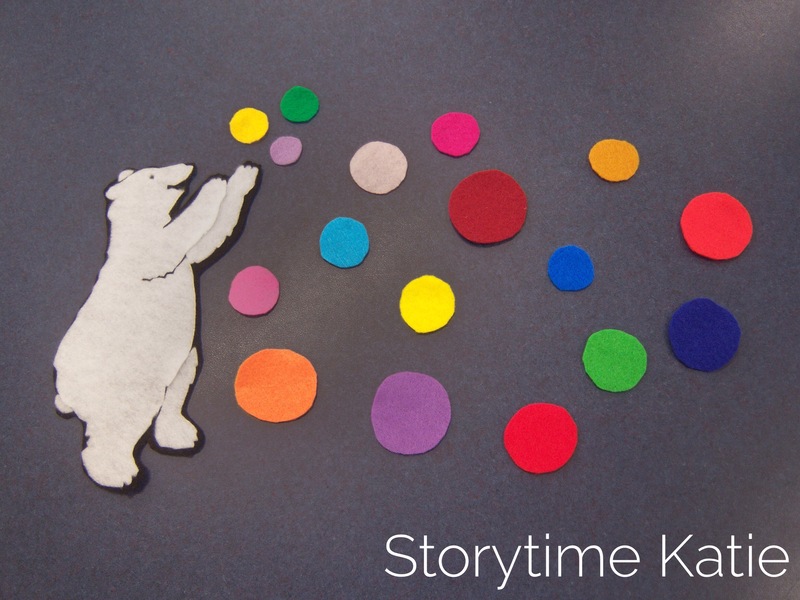 storytime and then re-made it this summer to use in outreach Space! storytime. 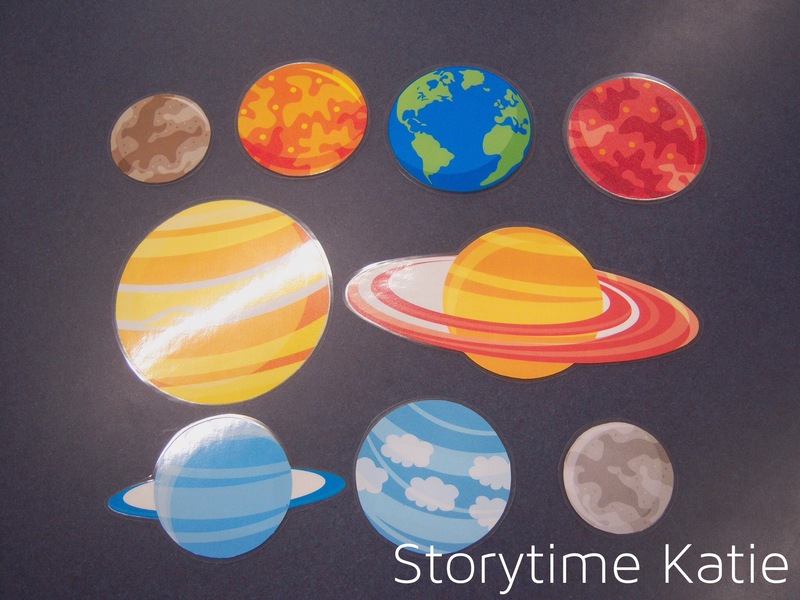 I did make Pluto because we were having storytime on the day that Pluto pictures were revealed (!!!) and I wanted to talk about that. This is just a discussion based ordering flannel. No special rhymes! The new set features clip art from Etsy shop JWIllustrations. 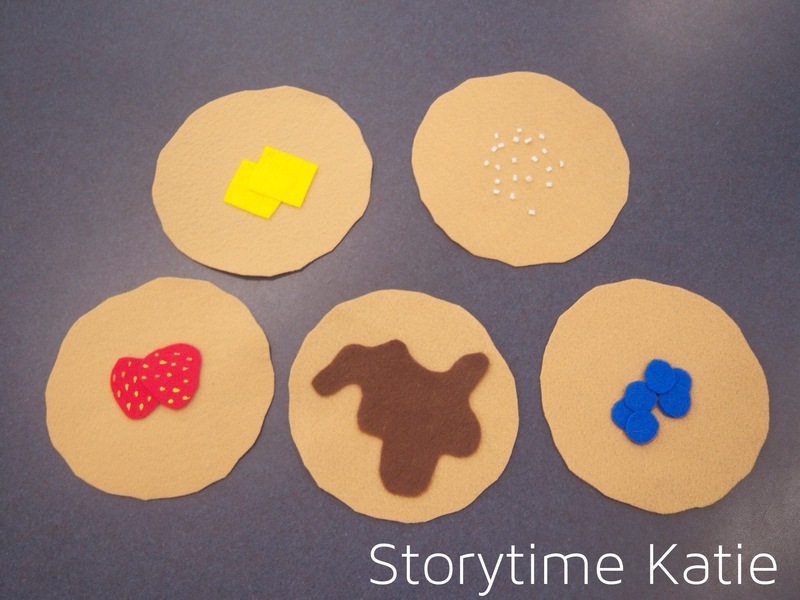 I would have used this flannelboard with my Pancakes Storytime! 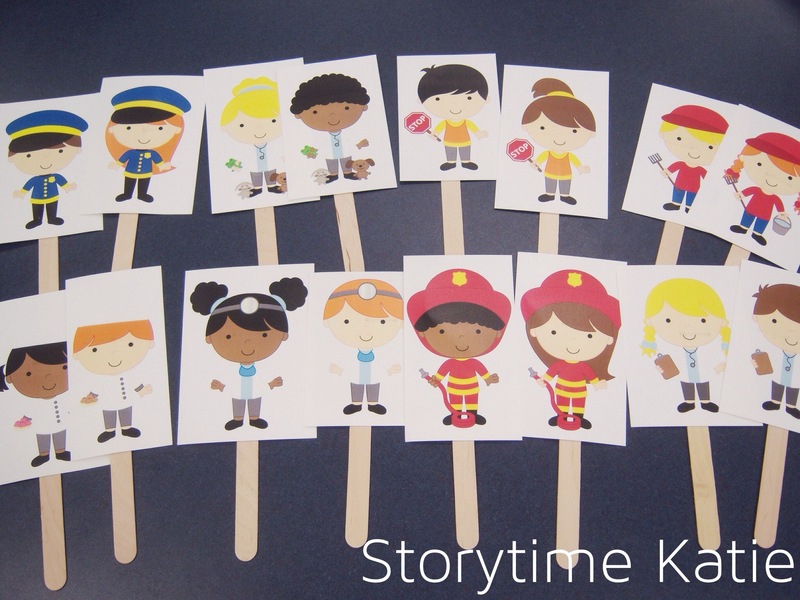 But since I left before performing the storytime, it’s just hung around the Storytime Katie archives waiting for a chance to be used. A flannelboard that never saw an actual storytime, but I made anyways since Anne of Anne’s Library Life made these robots look so cool! 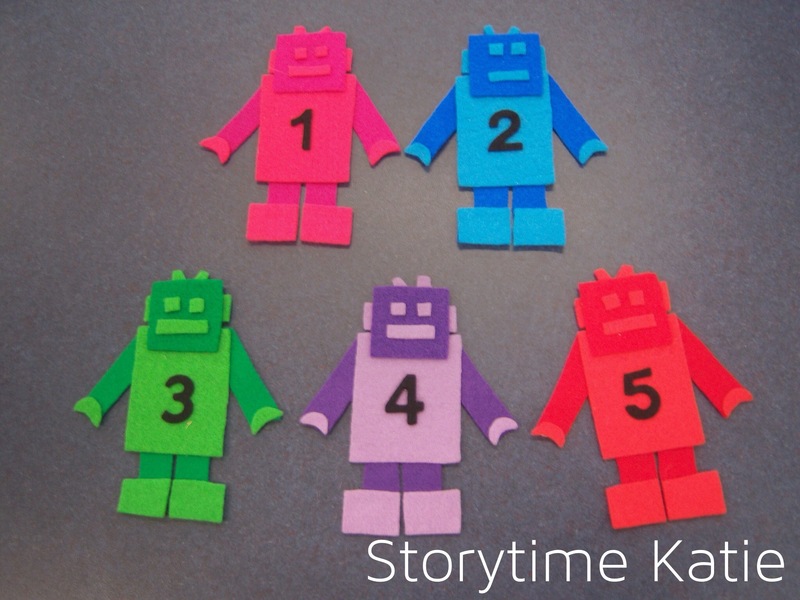 Like I said, I planned the robots storytime and never performed it at my last library. 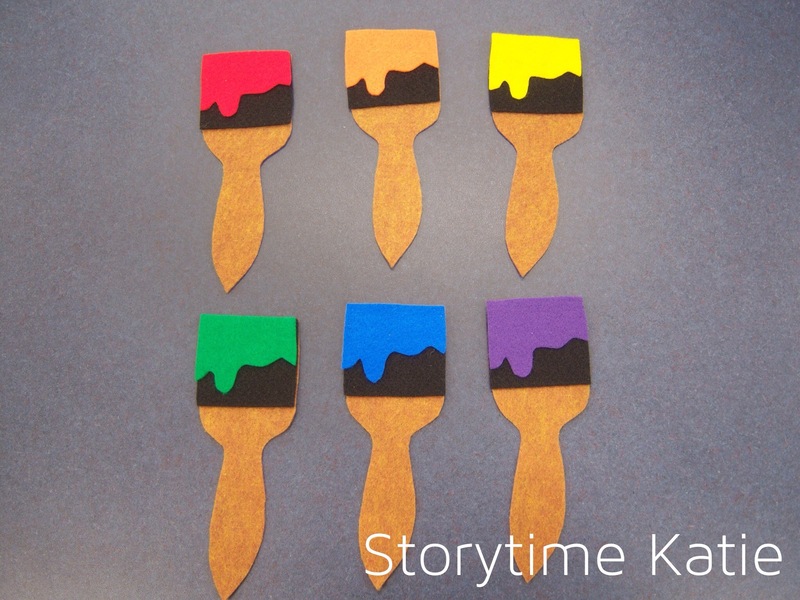 I likely won’t do it at my current library in toddlers, but I might try it in families. We’ll see! I’m hosting the round-up today! You can also check out our website, Pinterest, or Facebook!